I learned about this company from a fellow student at my Spanish school. 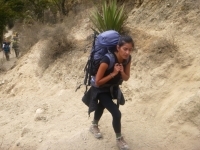 I would have never heard of Salkantay nor had the inspiration to go to MP if it weren't for her. She had great reviews so my friends and I decided to go with this company. Our adventure was absolutely amazing! I could not have asked for a better team than Victor and Martin!. Overall, this was quite the adventure! 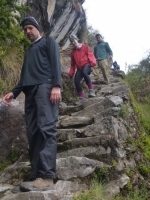 The guides were great, the cook was phenomenal, and the porters were nothing short of amazing. What can I say about this once in a life time trip that your friends or the travel channel haven't already told you? 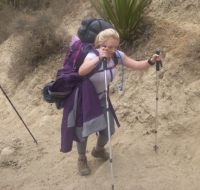 Well for starters the views, the scenery, the landscapes, and all of the aesthetics of the trail cannot be captured by any photo, video, or article. Everything about this adventure was amazing! Victor and Martin were the best guides I could have asked for. 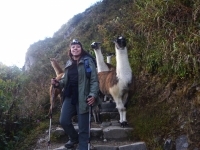 I could not have imagined a better adventure than what I experienced with Victor and Martin and the entire Inka Trail Reservations team! Day one was a great introduction to the trip. 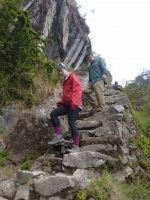 It was not too challenging and offered great views and archeological sites. Victor was very knowledgable about all aspects of the trail. 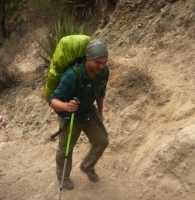 Desde un principio todo lo arreglemos para que esta aventura fuera algo inolvidable Llegamos a Cusco conocimos a Victor y desde ahi todo empeso. 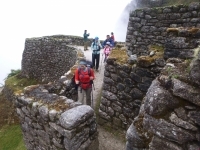 We made it to Machu Picchu and was greeted by sunny skies. This is quite metaphoric to our overall trip. We are in dry season but weather forecasts warned us otherwise. 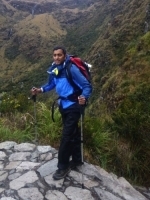 We prepared ourselves with S35 rain pants and started our trek on 3 Julio 2015. I use the word picturesque ironically. 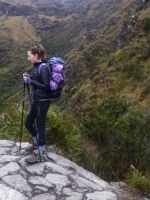 A picture Cannot do justice to the unlimited number of unbelievable views and scenes that you encounter throughout the four day trek to Machu Picchu. 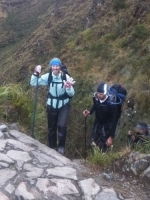 Our 4 day inca trail trip to Machu Picchu was amazing!. 4 days 3 nights !!! Talk about a hike of a life time. 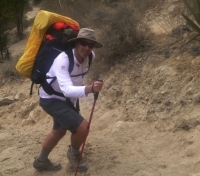 Trekking, hiking, walking, climbing, spelunking, flying... All seemed to be done on this adventure. what a great adventure! 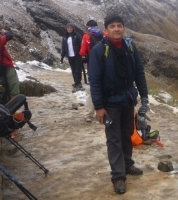 It was such a great experience our guides and porters were great. It is definitely difficult, I could barely make it past day 2, but if you do it is very rewarding. The team was execellent .We shared many incredible jokes and hard times together. Everybody was abe to bring something different to our team. 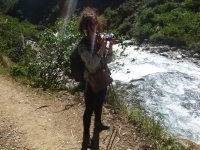 Coming from a 2 mounth stay (and volunteering) in Perú, not meeting any tourists or typical tourist attractions, I was a bit worried that this Inka Trail and Machu Picchu every body was talking about was overrated , too crowded, too easy etc. etc.